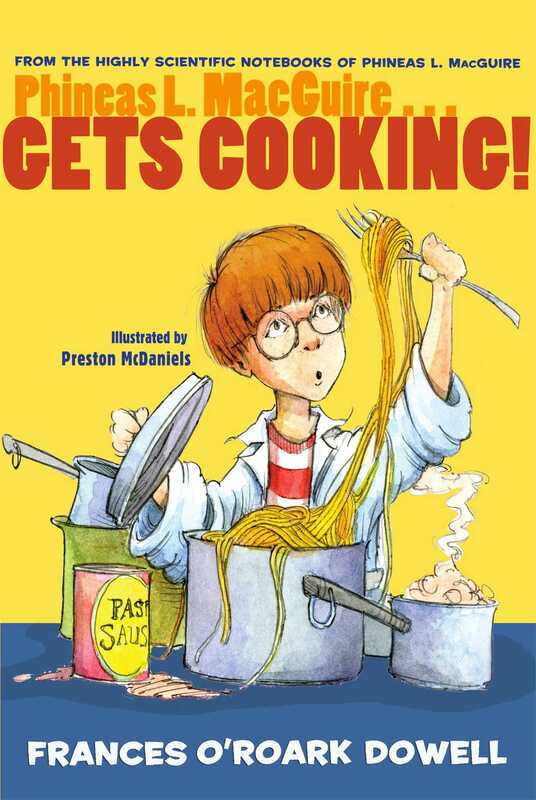 Phineas L. MacGuire—scientist extraordinaire—has a new chore: cooking dinner every night. He may be a genius, but he knows nothing about following a recipe. A pinch? A dash? A smidge? This doesn’t seem very scientific. A pound of spaghetti? Salt on brownies? Lemon in biscuits? Why, these recipes look a little funky. But he’d better learn quickly if he and his friends are going to win the $10,000 Bake-Off prize. And to complicate matters, school bully Evan Forbes has taken a liking to Phineas’s brownies…too much of a liking. As in, if Phineas can’t make Evan enough brownies, he’ll get clobbered for sure. Fortunately for Phineas, he has the help of his friends, and even better, he soon discovers that cooking is kind of like chemistry. So the whole recipe thing might just work out—as long as he can keep his cool in the kitchen.